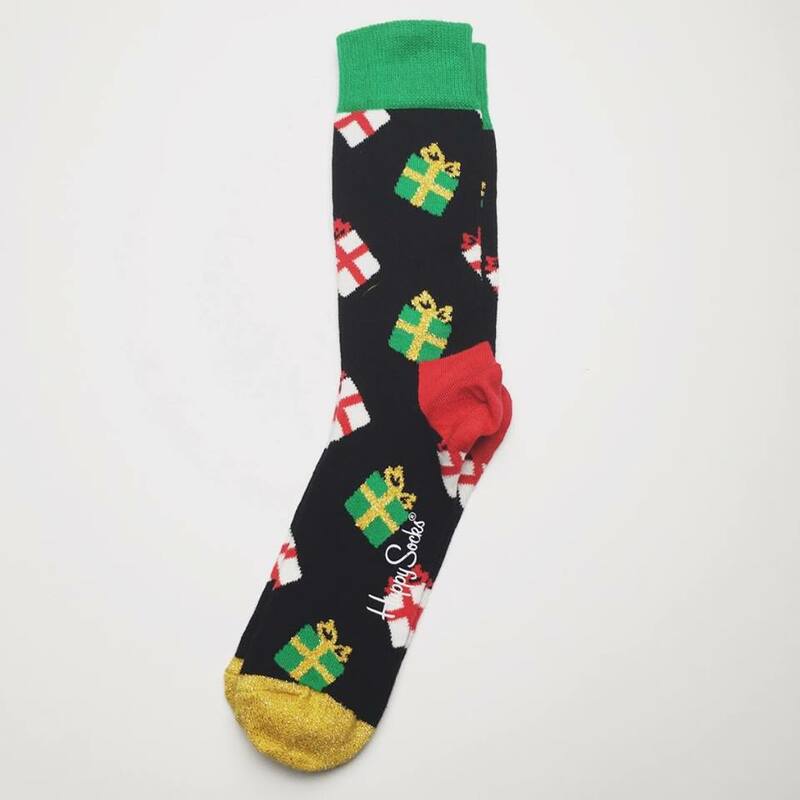 Christmas with Happy Socks... - Sleek For Yourself! Christmas with Happy Socks... | Sleek For Yourself! Which means it's almost Christmas. And I have been sent an early Christmas present by the amazing Happy Socks. 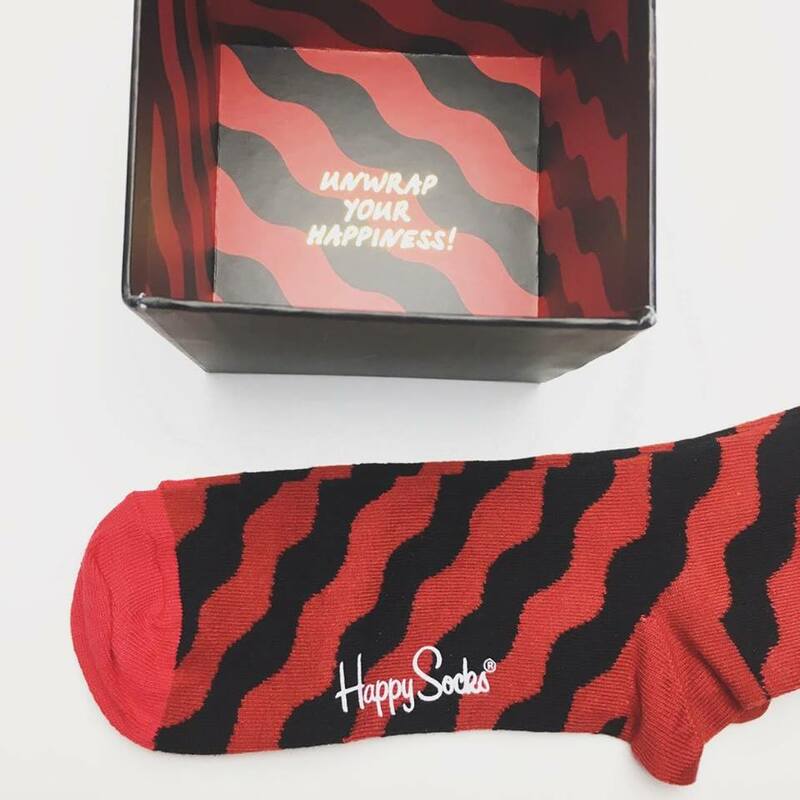 I've worked with Happy Socks a few times over this past year and they really are one of my very favourite brands to work with. Always so so generous, super friendly and I love their products which is super important. The last two parcels they sent me were unexpected and I actually love that. Now that they have my contact details they just sent gifts as and when and it always happens to come when I'm having a bad day. It always perks me up. Perfect timing. 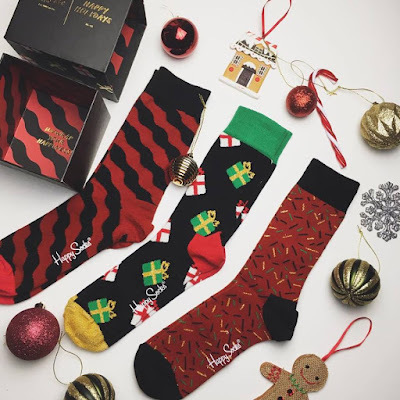 I thought it was very kind of them to send a thank you / Christmas gift and although they did not ask me to post about it on my blog or social media, I of course love to feature Happy Socks and so I am writing this 'just because'. It won't be a very long blog post as I've written about Happy Socks so many times that I feel like I don't have anything new to say but a quick introduction to the Christmas Limited Edition box won't hurt! They sent me their Christmas gift box with three pairs of amazing festive socks! I love anything novelty but this is just the perfect mix. A novelty fun pair, a colourful yet simple pair, and a pair you can wear with anything to make it look more seasonal. 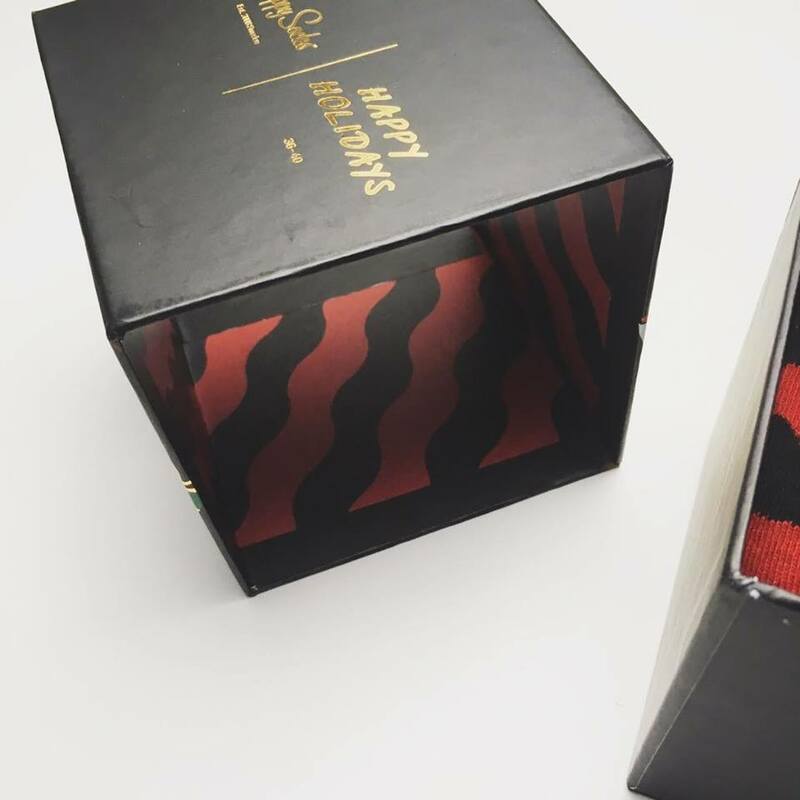 The packaging they arrived in was just adorable. I don't want to throw away the box so I'm going to keep the socks in it and only bring them out at this time of year. 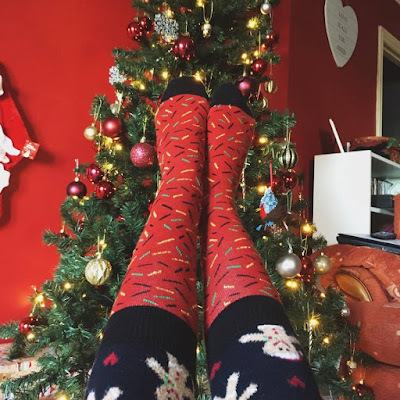 My special Christmas socks. So let me show you the socks in detail! As soon as I saw these I had such a smile on my face. 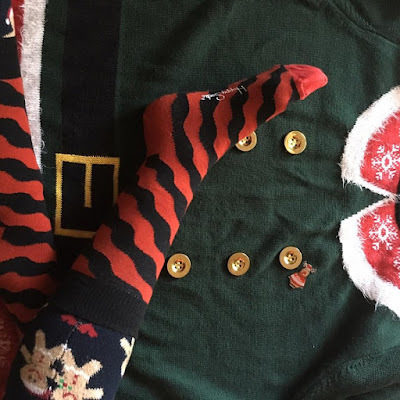 I love nothing more than novelty Christmas clothing. The tackier the better (although these aren't really tacky) just festive and fun. Typical Happy Socks. 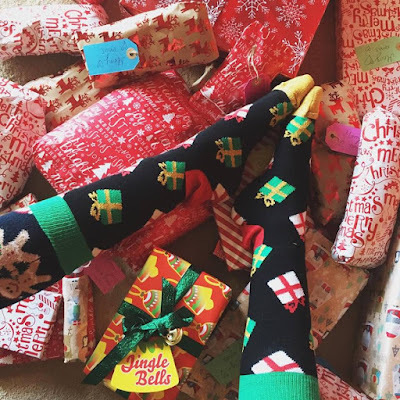 I love the little parcels on them and I especially love the glittery toe section. 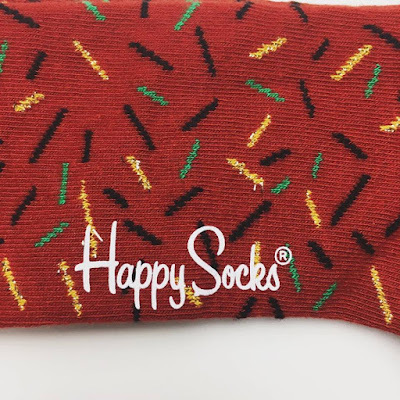 They are super comfortable, as are all Happy Socks. This is the perfect xmas gift and as it comes in a set of three in beautiful packaging it makes it super special and thoughtful too. 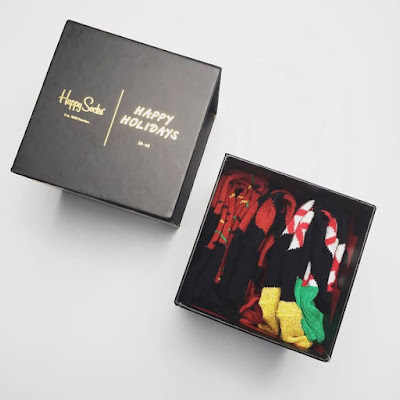 Everyone gets socks for xmas but do they get a limited edition box set of them? No. No they do not. These are probably my favourite out of all of them. 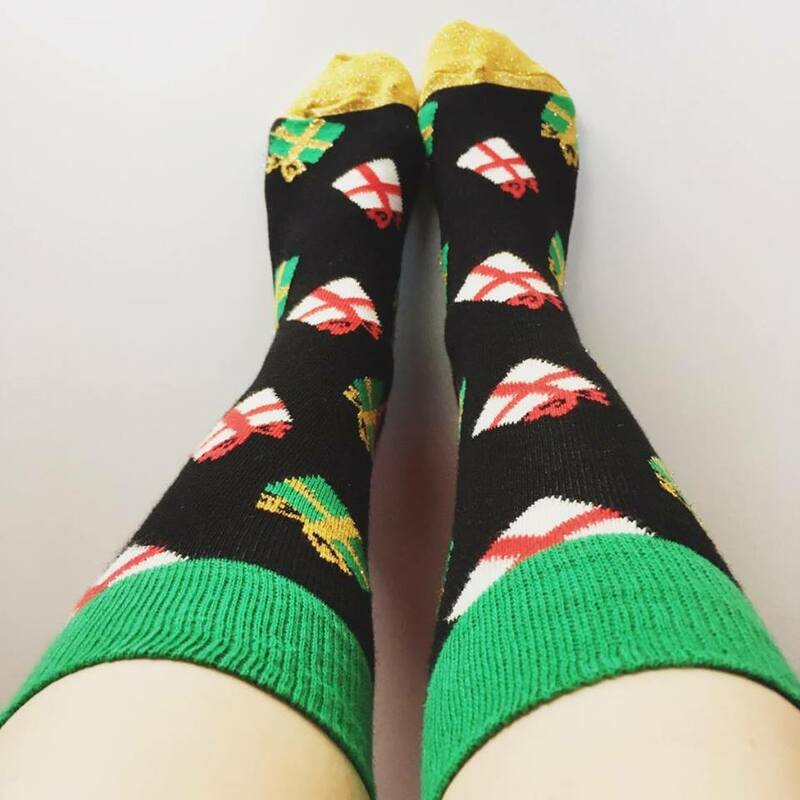 Very festive yet simple enough to wear with any outfit over the holidays. 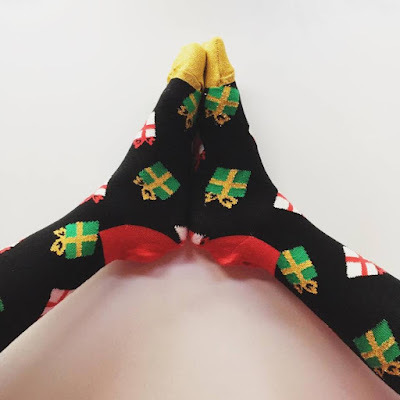 I think they are really pretty and a more grown-up alternative for Christmas socks. 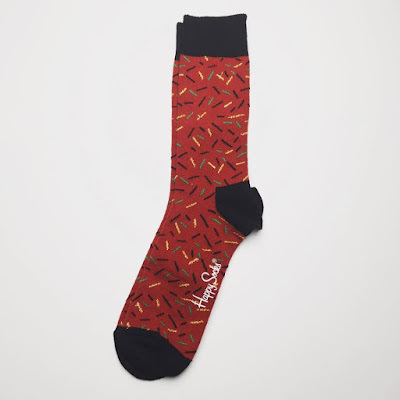 I shall be wearing these A LOT. 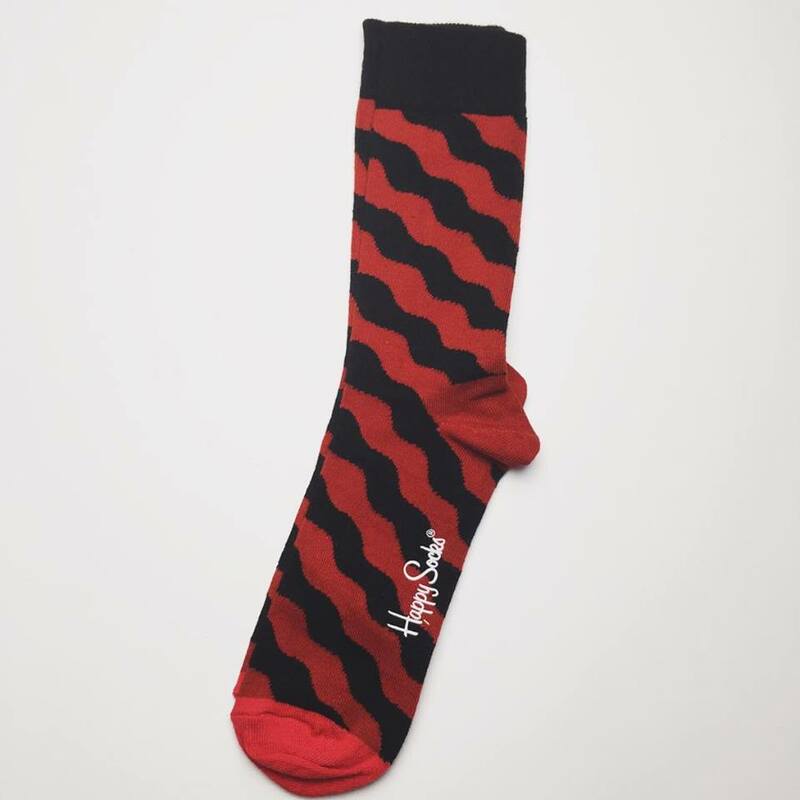 These are a nice pair of socks that can be worn all year round. The red makes them great for this time of year but they don't scream Christmas making them a good all rounder. I like these one but they are slightly too big around my heels. 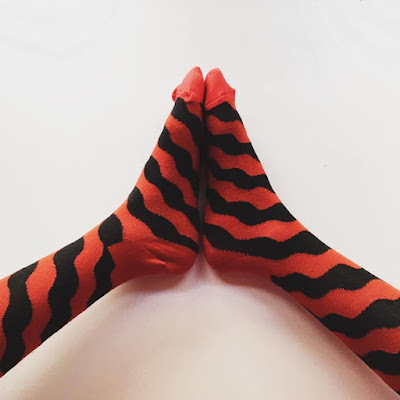 I have this problem a lot because I have teeny tiny feet so I'm going to be gifting these to somebody special this Christmas. 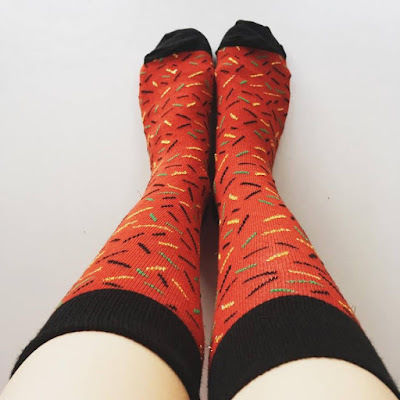 I love all these socks! 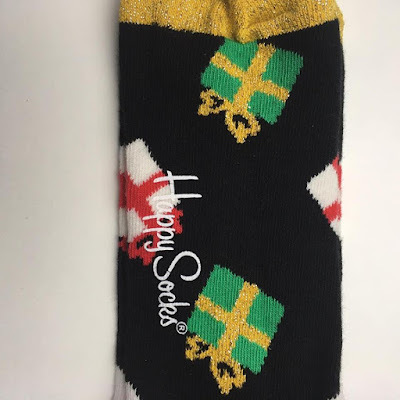 So kind of Happy Socks to send me a Christmas present. That is the first time a brand has done that for me and it's so exciting. It's always nice to know that a brand is grateful for all your hard-work. The note included with the parcel was so sweet. Thanking me for being a part of the team, and working with them throughout this year. 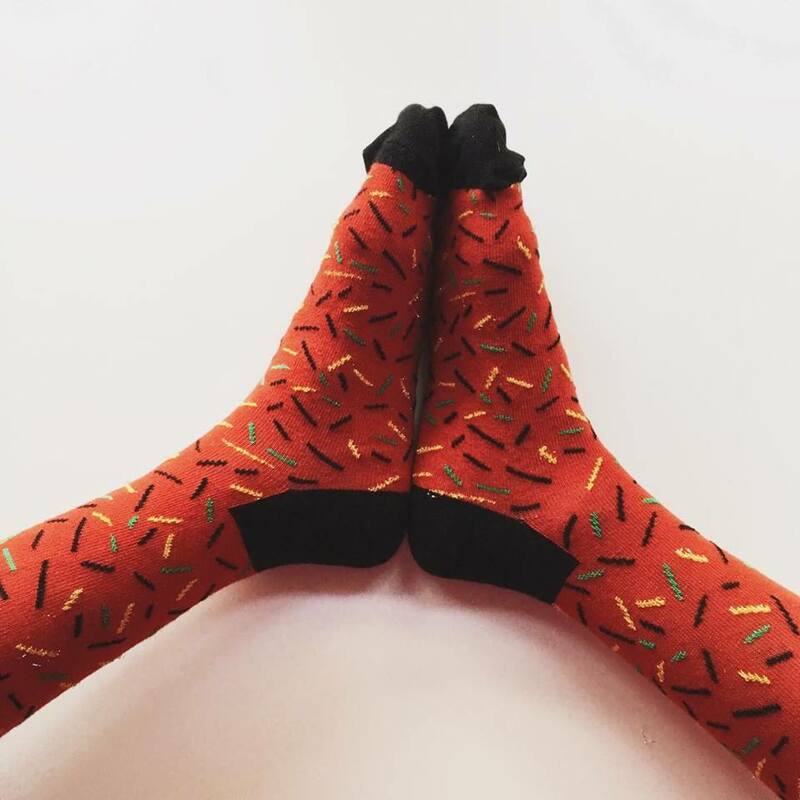 Honestly Happy Socks, it has been a pleasure and I cannot wait to continue working with you in 2017. 100% in my top ten brands I've worked with. Make that my absolute favourite. Be sure to check out their website if you haven't already. Some great items for Autumn / Winter and lots have gone into the sale, even the normal sale that isn't for Black Friday so go check it out and grab some stocking fillers for your family and friends. This is a beautiful idea. 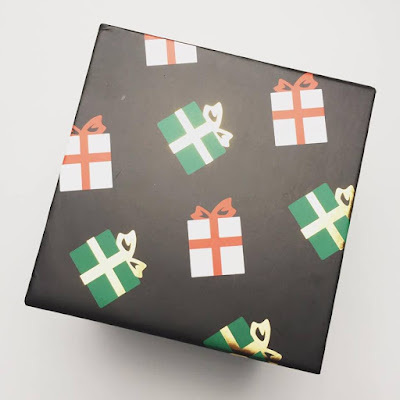 Thanks for sharing.Gift delivery in Pakistan. 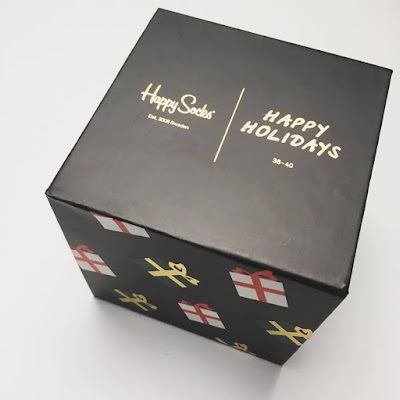 Send gifts to Karachi from Canada.